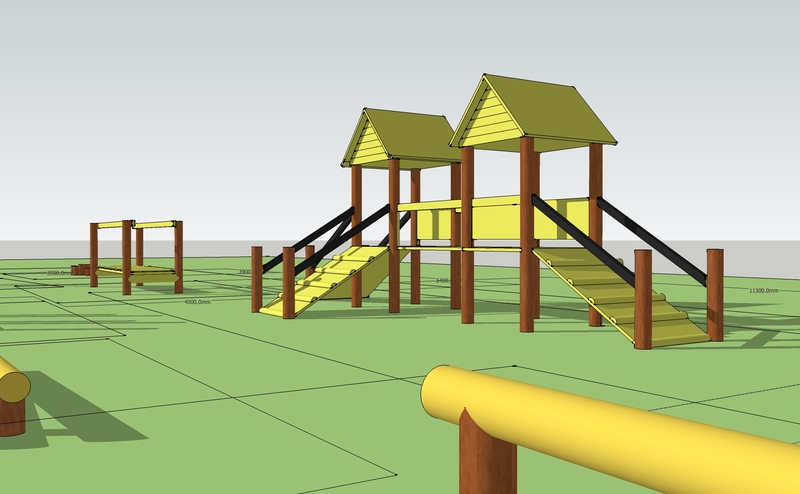 With our solid background in landscaping and our expertise in creating and installing timber related products we are able to design, cost, construct and install all kinds of playground equipment for your chosen space. 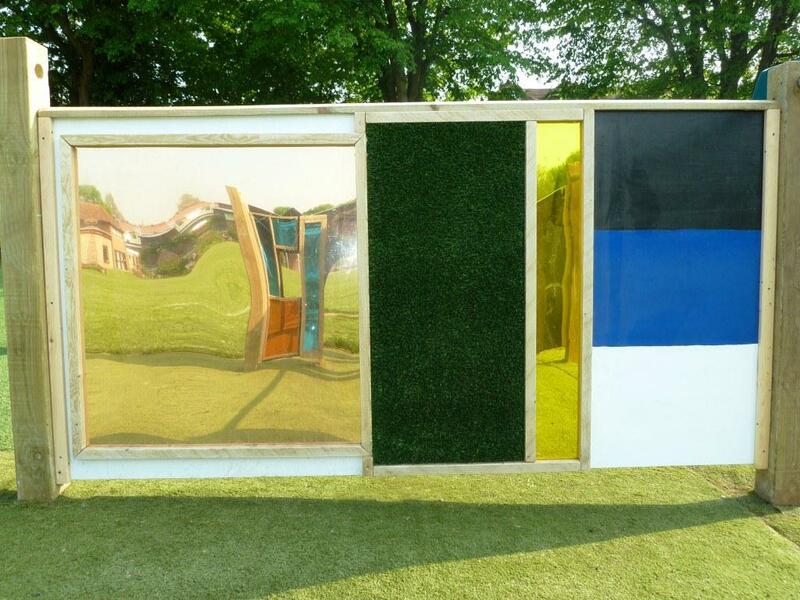 We provide help with choosing individual structures, artificial grass and shelters all to your specification and budget. 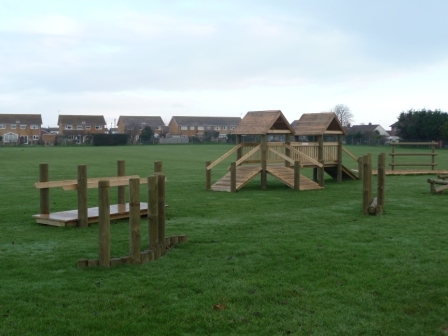 From a single piece to a complete playground we are able to transform your space into a lively, vibrant play area for the children. Quite often we can custom build items just for you. 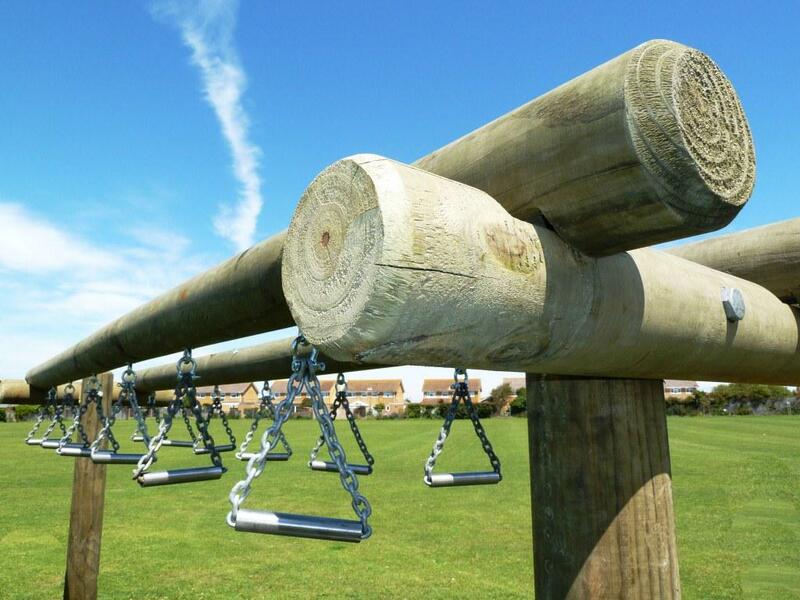 We are able to carry out the majority of the fabrication works at our yard and can then deliver and install the completed pieces into your playground with minimum disruption to school activities. 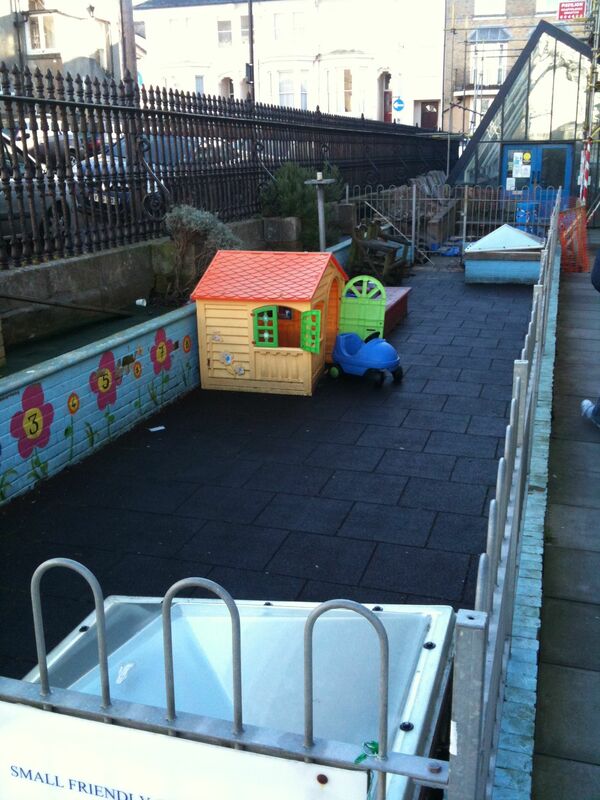 A small area transformed to maximise the space. 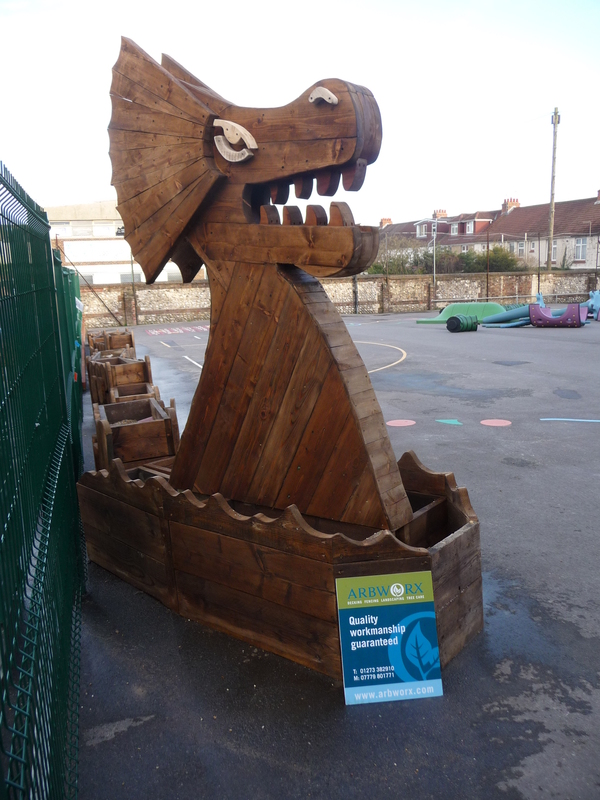 The Sea Serpent shown above was commissioned by a school in the Brighton & Hove area and was constructed entirely from recycled timber which we sourced from the Wood Recycling Project in Brighton. We are fully committed to recycling as much of the material we use as possible and we encourage schools to promote these same values to educate the next generation. 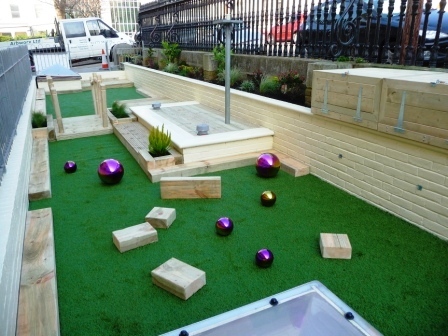 For smaller play areas we offer a complete service to help get the most out of a restricted space. 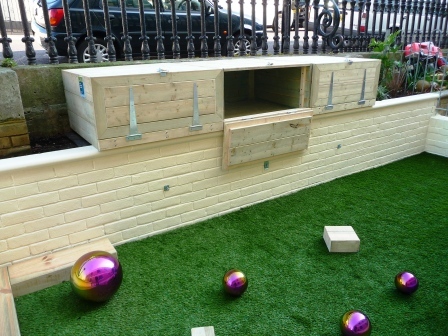 Our solutions range from custom built storage boxes to multi-functional platforms and staged decking areas. 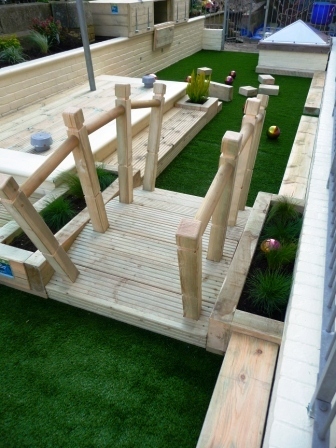 Planting can be used to soften the area and encourage the children to take an interest in the natural world around them. 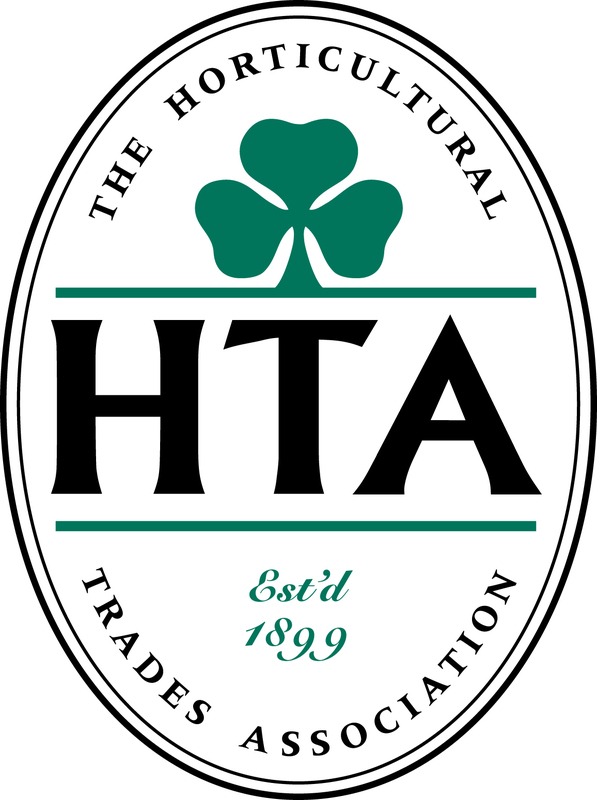 Our landscape technicians have specialist horticultural training and can advise on the most suitable planting schemes for the space you have available. 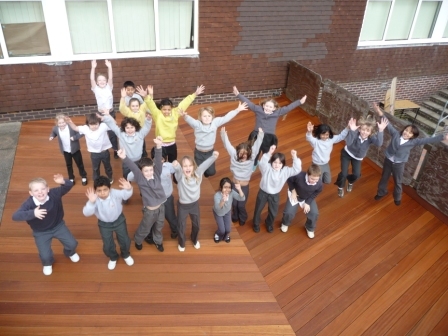 We have a long history of building quality decking for schools and other institutions so you can be sure that you will receive the most professional advice, installation and after care service.